This is Sign of the Whale's first blog! 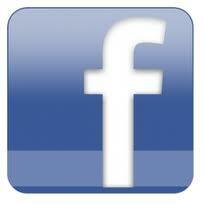 I thought a good place to begin might be to include some information on one of our collecting interests. My love of yellow ware began when my grandmother gave me "an old yellow bowl" that had belonged to her grandmother. I loved it because it was hers, but didn't really know what it was until years later. In fact, it was an early (i.e. circa 1850) banded bowl with wonderful deep color and a rim chip that had been there forever. It became the foundation of my collection. I've listed some basic facts about yellow ware below, in bullet format, along with a couple of wonderful reference books that I highly recommend. I'd be happy to answer any questions or expand on any of these points. Just shoot me an email. · Many different forms: bowls most common; but also pitchers, nappies, mugs, pie plates, pepper shakers, master salts, mustard pots; colanders, rolling pins, washboards, miniatures, etc. Gallo, John. (1985). 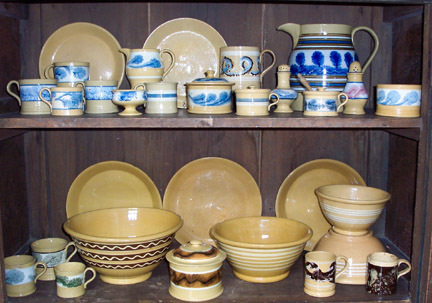 Nineteenth and Twentieth Century Yellow Ware. Heritage Press: Richfield Springs, New York. A great handbook, still available, price guide obsolete. My favorite reference. © 2006 Sign of the Whale Antiques. All rights reserved.